After blueberry picking and making some blueberry muffins, I still had a ton of blueberries left. I had plans to make my dad a cheesecake for Father’s Day and my husband sounded a little jealous of my dad getting a cheesecake and I had plenty of berries so I figured why not make 2? 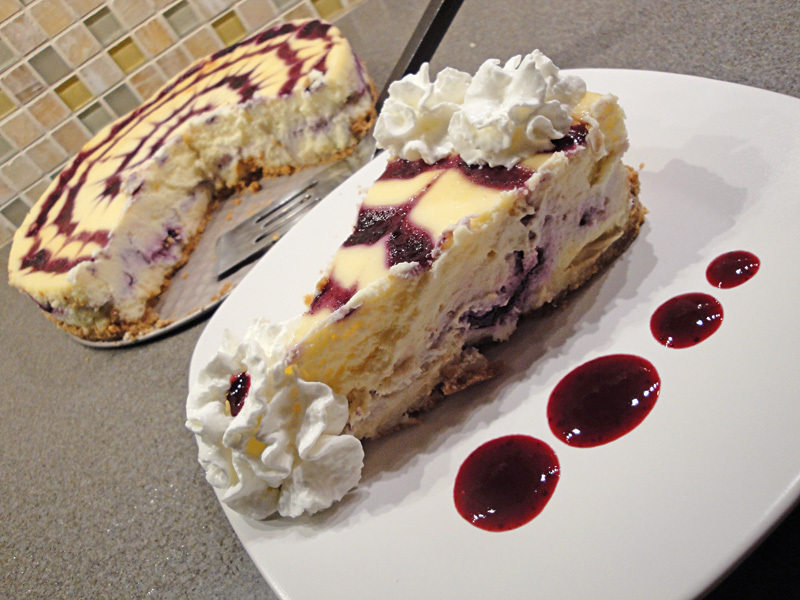 Today’s recipe focuses on the cheesecake I made my husband. He loves cheesecake and every year for Christmas I make him a raspberry cheesecake. Since I had blueberries on hand, I wanted to adapt that recipe to fit with the season. It was a bit of a test but I’m happy to report it worked out splendidly. To make this cheesecake, you’ll want to prepare a graham cracker crust first and freeze it while you prepare the blueberry sauce. After the sauce is cooked, let it cool while you make the cheesecake filling. Then it’s time to assemble the cheesecake. You’ll pull the crust out of the freezer and sprinkle some white chocolate chips onto the crust. Pour half the cheesecake into the springform pan. 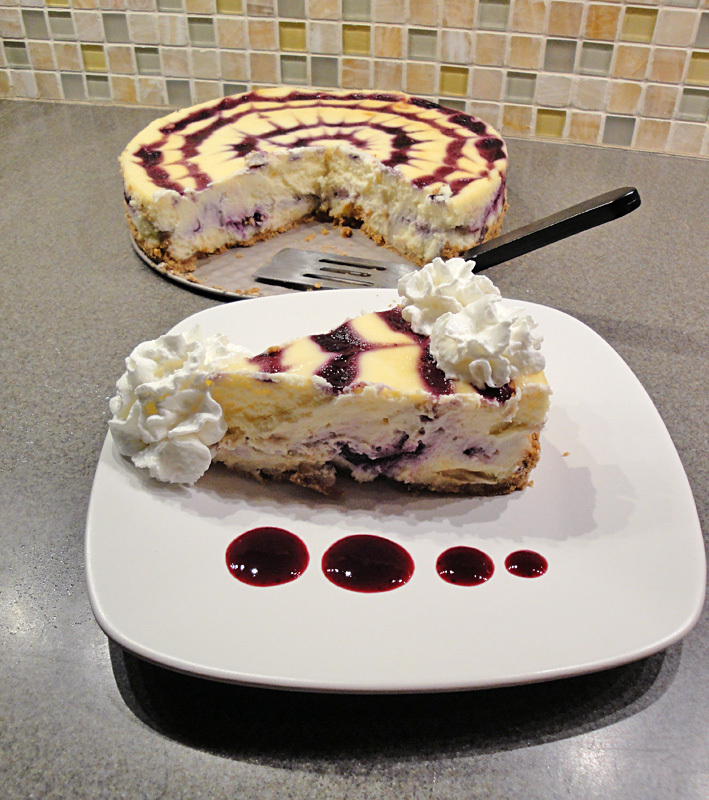 Then you’ll pour some blueberry sauce over the cheesecake and swirl it in. Finish by pouring the rest of the cheesecake in the pan. You can add more blueberry sauce and swirl it in or make a fun design. 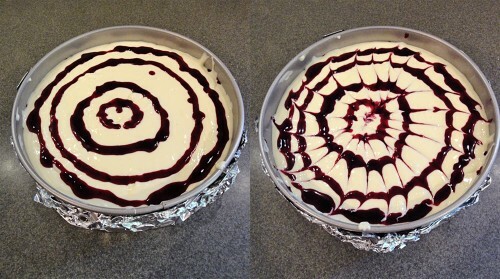 To make this pattern, I piped circles of sauce onto the cheesecake and swirled from the center to the outside of the cheesecake to form a firecracker pattern. If you end up with blueberry sauce leftover like I did, save it and make some pancakes for breakfast. The sauce is a perfect pancake syrup and adds a lot of flavor. Crush 9 large graham crackers by hand or in a blender. Pour into a medium bowl and mix in 1/3 cup melted butter. Mix until well combined. Line the outside of a 9-inch springform pan with foil. Repeat until about 3 layers protect the pan. Press the crumb mixture into the bottom of the pan and use the bottom of a drinking glass to press the mixture flat into the pan and up the sides to form a crust. Put the crust in your freezer until the filling is done. Over medium heat, combine cold water, blueberries, and lemon juice in a small saucepan. Add in sugar and cornstarch and bring to a boil. Boil for 30 seconds while whisking. Remove from heat and strain into a bowl to remove the blueberry skins. Set the sauce aside to cool. Preheat oven to 475 degrees. Fill a large roasting pan with 1/2 inch of water and leave it on the lower rack of your oven while the oven preheats. 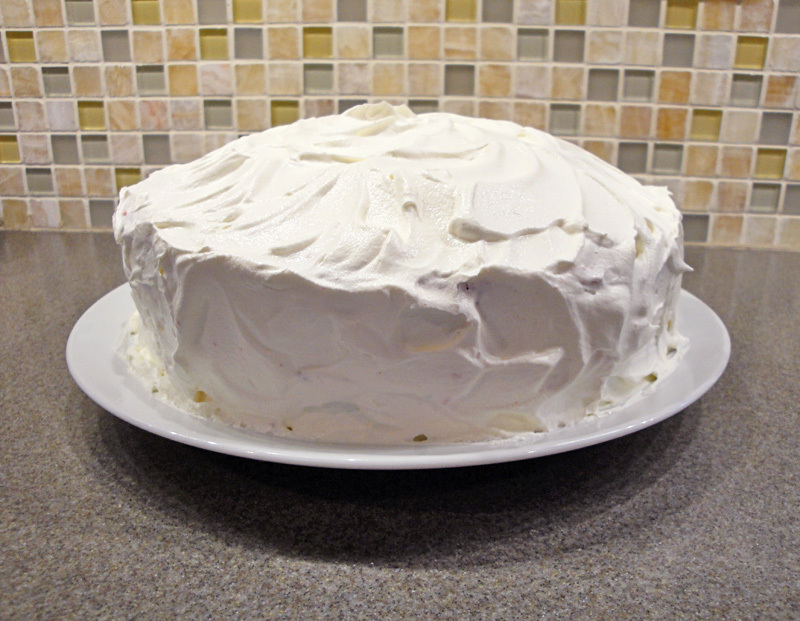 Use a hand mixer to combine the cream cheese, sugar, and sour cream. Mix on low until smooth and creamy. 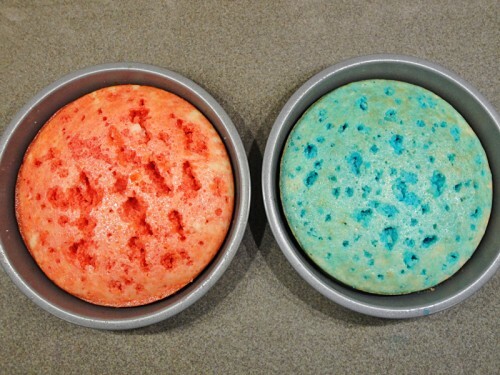 Be careful not to whip the mixture, too much air will cause the cheesecake to collapse or crack. Add the vanilla and eggs and blend just until incorporated. Pull the crust from your freezer and sprinkle the white chocolate chips into the bottom of the crust. Pour half of the cheesecake filling into the crust. Drizzle 1/4 cup of the the blueberry sauce over the surface of the filling. 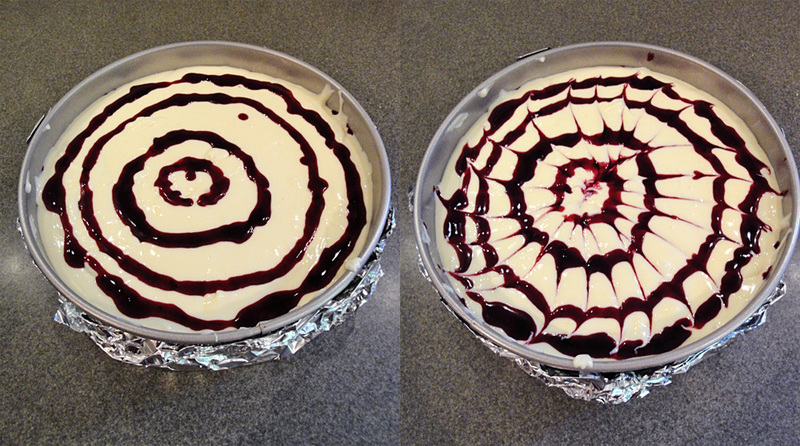 Use a knife to gently swirl the sauce into the cheesecake. Pour the other half of the filling into the crust. Add another 1/4 cup of sauce to the top of the cheesecake. 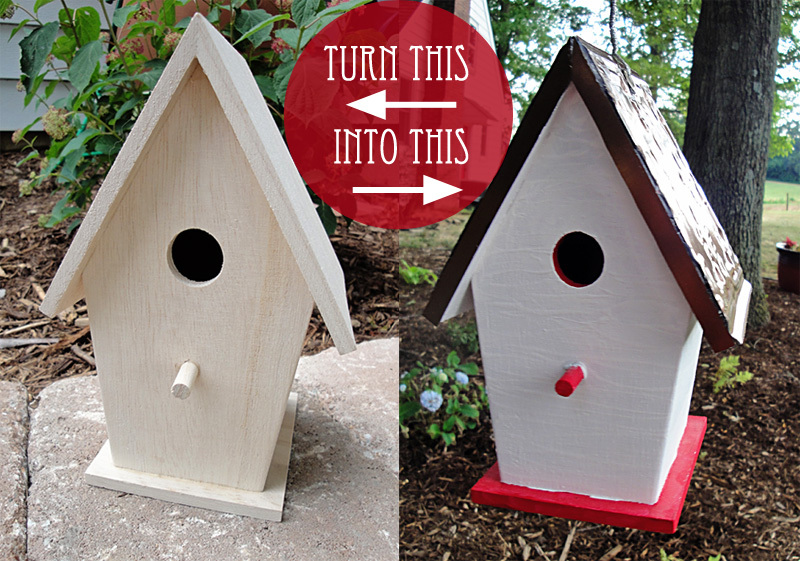 You can pipe on a fun design or just swirl it in with a knife again. Carefully place the cheesecake into the water bath in the oven. Bake for 12 minutes at 475 degrees then turn the oven down to 350 degrees and bake another 50 minutes. You want the cheesecake to just barely turn golden brown before removing. Cool on a cooling rack for an hour, then chill in the fridge for 8 hours. After cooling, remove the springform pan from the cheesecake. 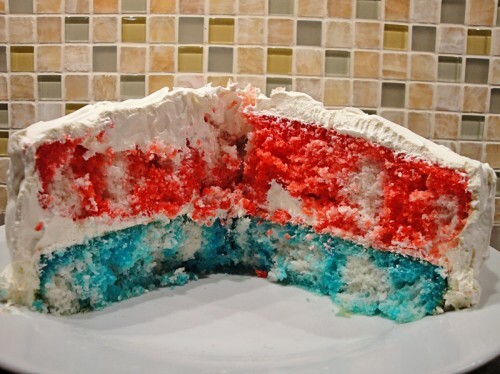 Cut into 12 slices and serve with whipped cream. 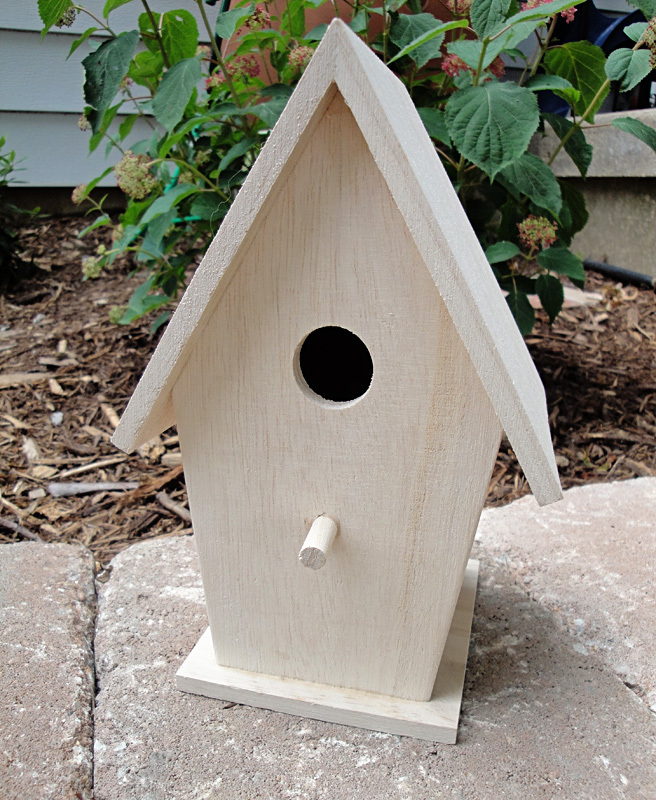 As part of my picnic project week, I wanted to make some great supplies for an actual picnic. 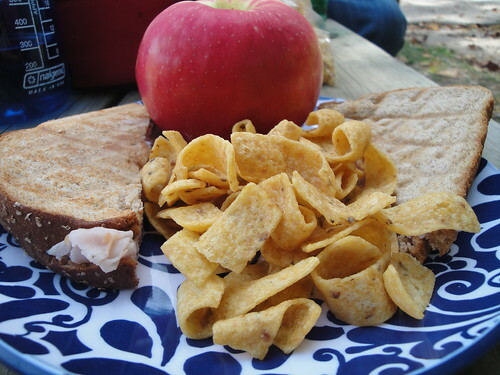 Last time I went on a picnic it was during a hike at Castlewood State Park with my husband. I had planned ahead, discovering that there were some tables next to the river right at the end of one trail and before we started our second trail. When we went to sit down, some workers told us they were moving the table, leaving us with nothing to sit on. So much for that idea! I also forgot to bring napkins so I was woefully unprepared for lunch. I wanted to be more prepared before our next hike or picnic in the park so I brainstormed a few ideas but nothing was as great as this picnic caddy I found on Snowy Bliss. 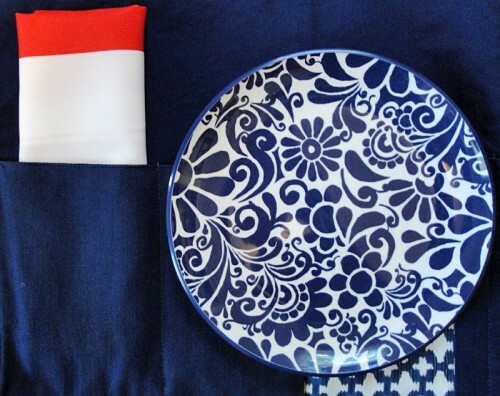 As you can see above, I already had some cute blue and white plates from Target so I went back to the store to see if they had any placemats or napkins in the same line. 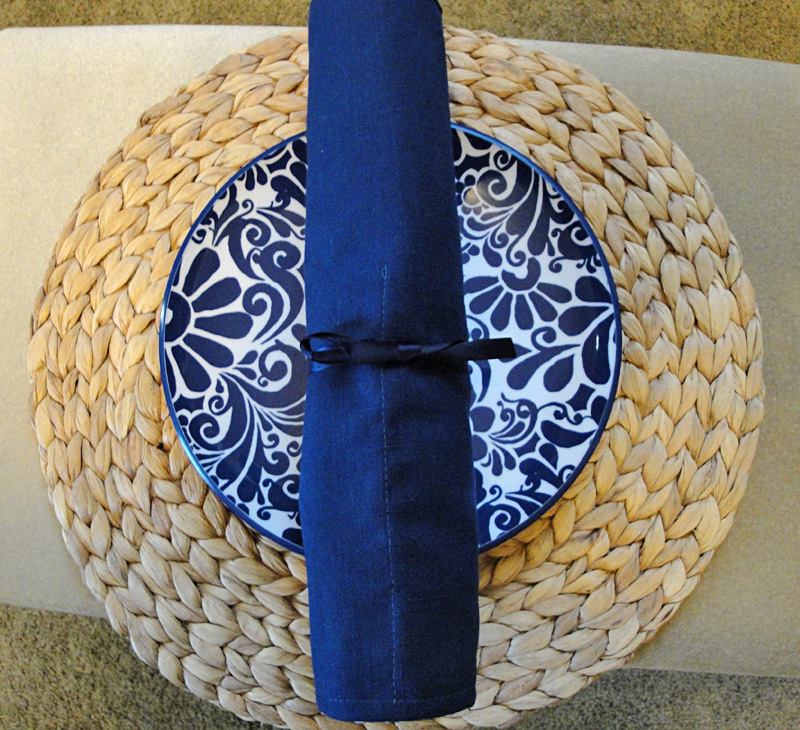 Sadly the line was being discontinued but that meant I got the last 2 placemats on clearance. Score 1 for me! I didn’t manage to find any cheap napkins so I decided to make my own. I used some fabric leftover from my striped porch pillows and made two handy napkins. Jen Giddens has a great tutorial for making napkins if you’ve never done your own. I followed the same method using a 14 inch square when making my own. Jen has drawings of the process and technical details while I just have some pictures. Now back to the picnic caddy. 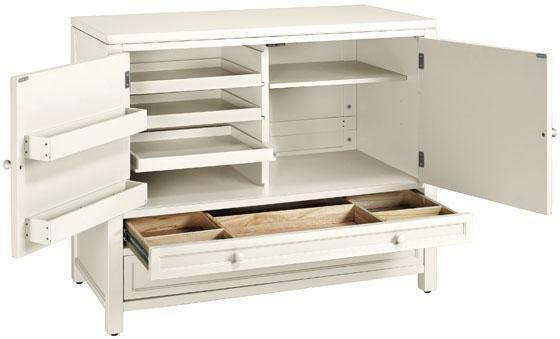 My first goal was to have all the items I wanted to place in my caddy. I now had the napkin, some plasticware (I’m hoping to upgrade to reusable items next time I’m at the store), a straw, and a plastic bag for trash or leftovers. Since I had those, I was ready to proceed with the actual construction of the caddy. You’ll want to turn your placemat short side up and fold your placemat up till you find a height you like. I did this to the placemat on the right in the photo above. Now the cool part about this picnic caddy is that it will roll up in the end. 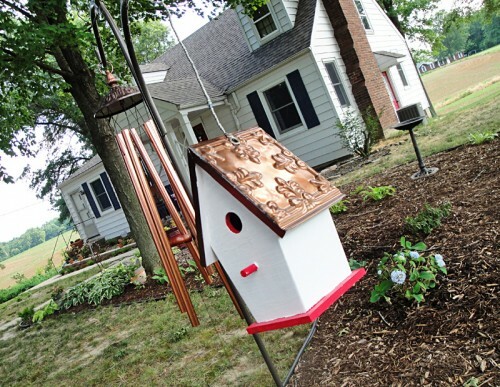 To help it stay put, you’ll want some ribbons to tie it shut. 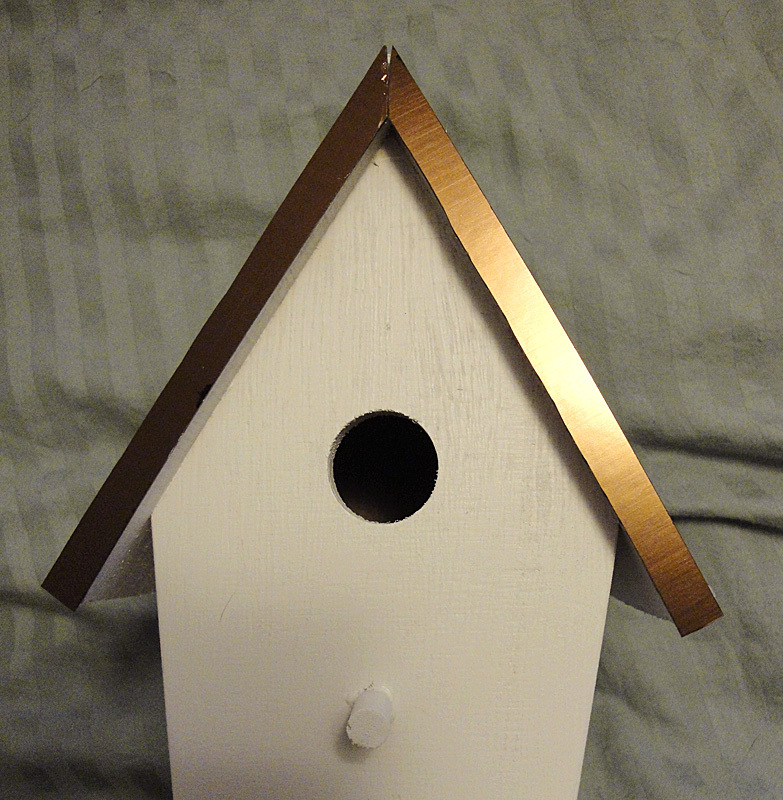 I used some 1/4 inch ribbon for this. I cut it 1 yard in length and then cut it into quarters. 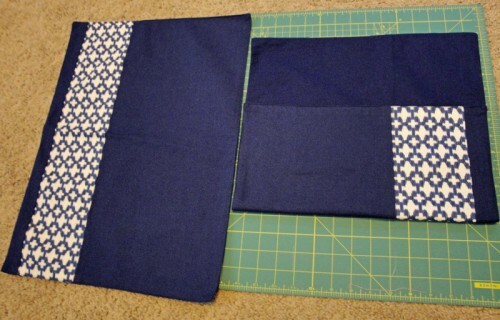 Take 2 of these 1/4 yard quarters and line them up together on the left side of your folded up placemat. When you find a position you like, pin it in place. Pin both the left and the right sides together. Now you’ll want to topstitch around the edges. Remember to sew only where there are two layers of fabric. 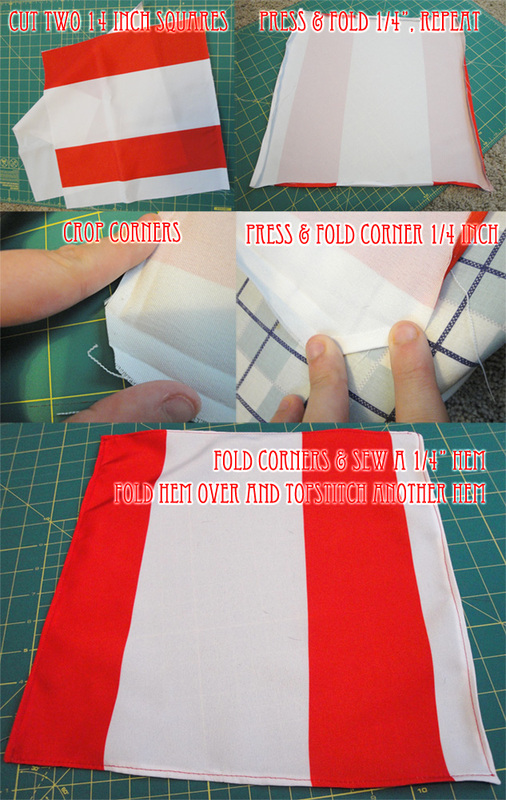 Since you’re topstitching, sew about 1/4″ or 1/8″ from the edge. In the photo above I show you the path to follow when sewing. Make sure to sew right over where that ribbon is. 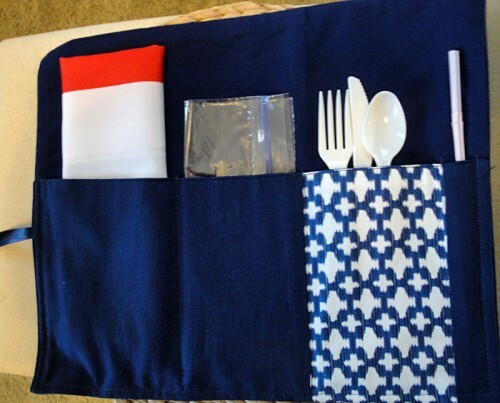 Lastly, find an arrangement you like for your napkins and other supplies you gathered at the beginning. Sew in straight lines to make holders for all the items. I took advantage of the pattern in my placemat to hide some stitches by stitching in the ditch (aka sewing inside of the seamlines already there). Now just roll it up and you’re good to go! I love how tiny the picnic caddy rolls up to be so it won’t take up much room in my bag or a picnic basket. It also nicely matches my plates. As a bonus, should the parks crew every steal my picnic table again, I have an actual placemat to eat off of. That’s right, I will be dining in style on my next picnic. Over on my facebook page I’ve asked everyone what their favorite picnic foods are and I wanted to ask it here too. I love a good fruit spread or even just an apple or an orange while my husband insists on pudding cups for every picnic. 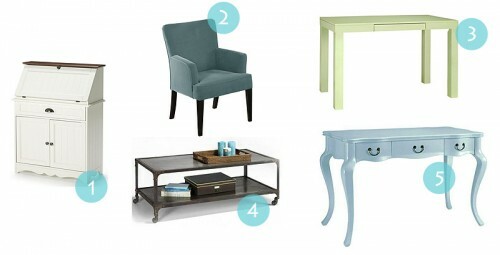 What’s your must have? 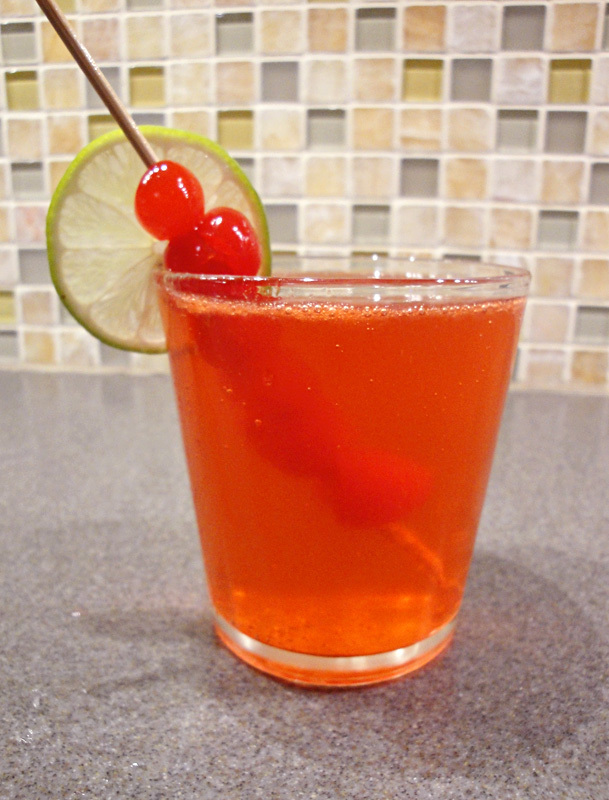 One of my favorite summer drinks is a cherry limeade. Actually I love going to Sonic and grabbing any of their summer drinks and sipping on them all day long. I have a weakness that started when my brother was a carhop back in high school. It’s never really left me, I’ve just grown up a touch. 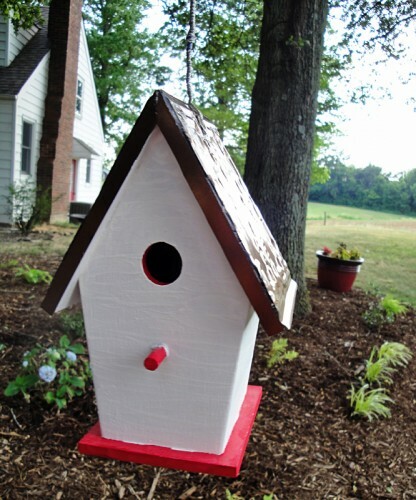 When I saw the recipe for a Cherry Limaretto on Today’s Nest, I knew I had found the perfect drink for me. A cherry limeade with some amaretto in it sounded too good to be true. There’s only a trace of alcohol in it so you don’t get too tipsy and it doesn’t overwhelm the cherry lime flavor of the drink. The drink tastes just like my favorite summer drink and it’s perfect for sipping at your next picnic. Fill a cocktail shaker 2/3 full with ice. Pour amaretto, cherry juice, and lime juice into shaker. Shake for 10 seconds. Fill 3 glasses with 3 ice cubes. Strain the drink into the glasses, then fill the rest of the way with ginger ale. I’ve been holding back on this month’s centerpiece till this week because it goes so nicely with my picnic week. I love this centerpiece because it used items I had on-hand. The basket is leftover from a gift packaging years back. I’ve been storing spare candles in it but my closet makeover (details coming soon!) meant the basket was now sitting empty. I lined the basket with a clean bandana, leftover from my college days. 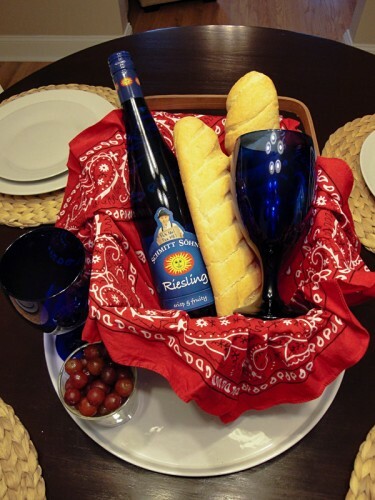 I filled the basket with some cheap wine, my cobalt blue glasses, and some French bread. I added some grapes I’d been munching on to complete the tablescape. I know it’s only June but I wanted to start introducing some patriotic colors into this month’s centerpiece. Hey, June has Flag Day so I’m not too far off on my color scheme. I will confess that the bread and grapes didn’t sit out like this all month. I might have raided them the evening this photo was taken. We had an Italian feast this past week and all the perishables and the wine were victims of the raid. The basket is still a great centerpiece item though, it’s perfect for filling with fresh flowers or breadsticks with our dinners this month. I’ve been in a mood for a picnic all year long. The 4th of July screams picnic time to me so I’m in picnic mode right now. 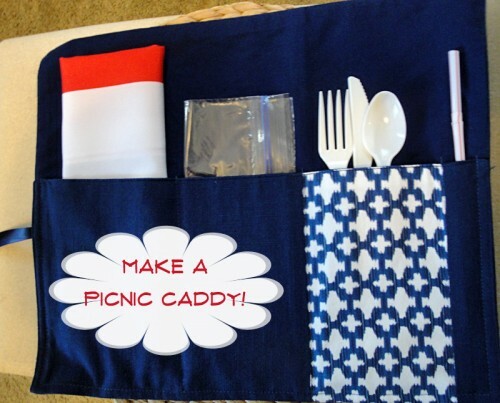 All this week I’ll be sharing some picnic-themed projects in case you’re as excited about picnics as I am. For today I’m sharing my favorite potato salad recipe. It calls for just 5 ingredients- potatoes, eggs, bacon, mustard and mayonnaise. 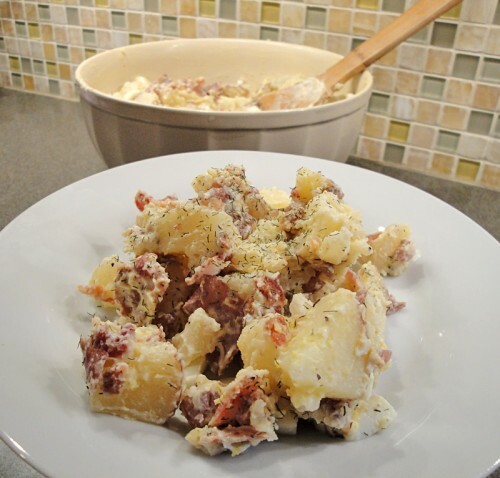 It ends up tasting like a baked potato in salad form. You can season it to your tastes, I like some dill, pepper, and sea salt mixed into mine. This is a great recipe to make ahead the night before. The flavors do well sitting overnight and the food will be chilled just in time for your picnic. Wash the potatoes and place in a large pot. Cover with cold water and boil till soft, about 15-20 minutes. Strain the potatoes and let them cool completely. While the potatoes are cooking, fry the bacon. Let it cool and crumble into small pieces. Set aside. If your eggs aren't hard-boiled yet, this is a good time to do it. Chop the egg into small pieces. Once everything is cooled, cut the potatoes into medium-sized pieces. Mix the mayonnaise and mustard together in a large bowl. Stir in the potatoes and coat them evenly with the sauce. Add in the bacon and eggs and stir until combined. Season with salt and pepper to taste. After I went blueberry picking I got right to work cleaning the berries so I could start using them. I had all the ingredients on-hand to make my blueberry muffins so I just jumped right in. My recipe has a sturdy enough batter that you don’t have to worry about coating fresh berries with flour to prevent sinking, the berries just stay put on their own. If you don’t have almond extract you can easily substitute vanilla. In a large bowl, cream together butter and sugar. Add eggs one at a time, stirring after each one. Mix in almond extract. Add baking powder, salt, and half the flour and lightly mix. Pour in half the milk, stir, then the rest of the flour and milk and stir till just mixed. 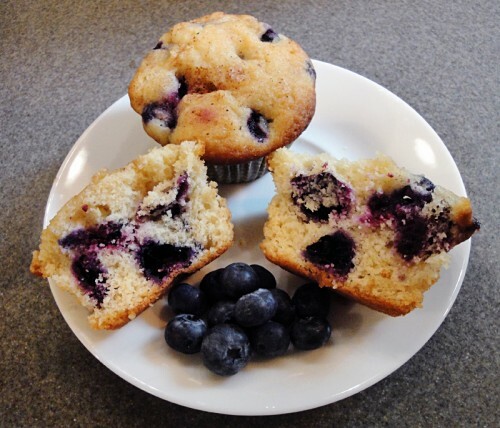 Fold in blueberries and spoon into cupcake liners. Stir together the sugar and nutmeg for your topping and sprinkle on each muffin. Bake until golden brown, about 20 minutes for regular muffins and 15 minutes for mini-muffins. 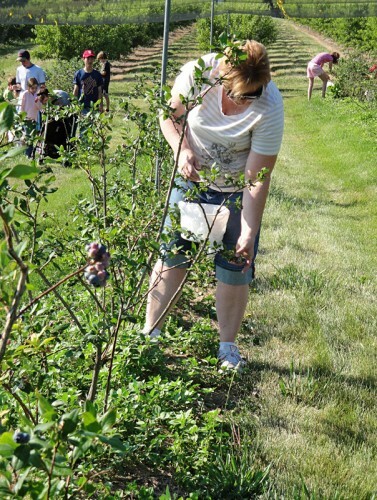 Last week I invited my friend Wendy and her mom along with me to go blueberry picking. I had gone last year and enjoyed it so much that I wanted to go again this year. I go picking at Wind Ridge Farm in New Melle, Missouri. They also have blackberries and peaches depending on the season. They aren’t open for picking every day but they do update their website, twitter account, and facebook page to help you plan your next pick date. 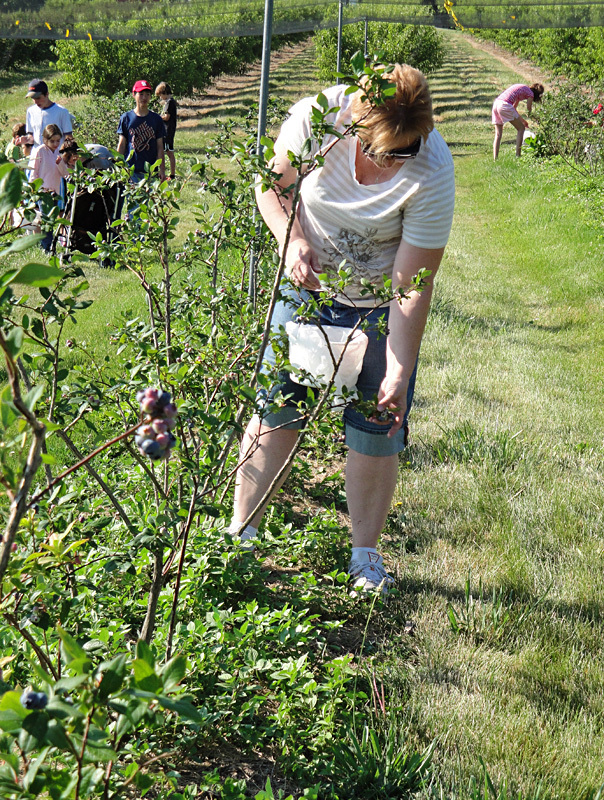 This method ensures that the plants aren’t overpicked and that guests have plenty of picking options. When we arrived this year we could see the blueberries hanging off the bushes before we even entered the field. You just grab a bucket, listen as an employee tells you the best places to pick, and have at it. We spent less than an hour picking casually and ended up with about 2 1/2 pounds each. 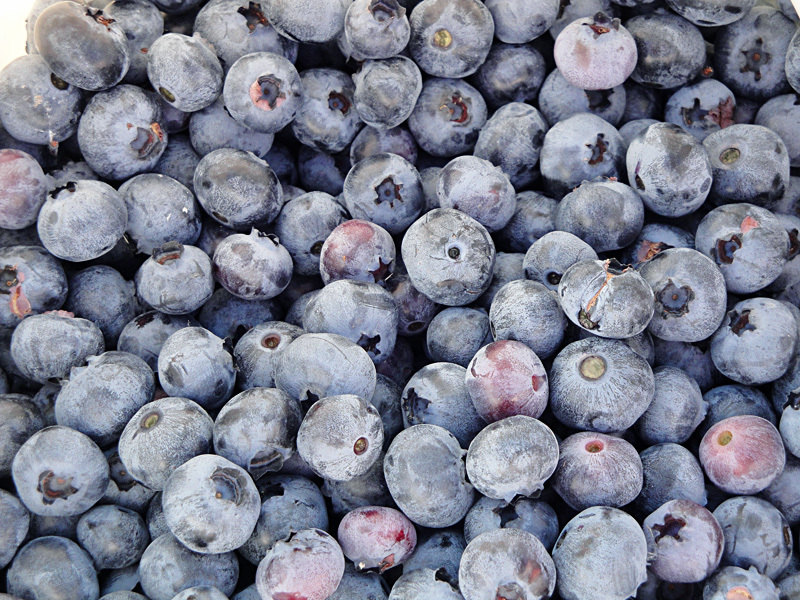 The blueberries are $2.99/lb and they even take credit cards if you have your whole family out there picking. Their next pick date is on Sunday from 8 AM to noon or until the field is all picked. You could celebrate Father’s Day with some blueberries or even some blackberries since they will have a small batch of them ready to go. After we went picking we did a scenic drive along Missouri’s wine country. There are several wineries out in the area so if you time it right you could pick one day and stop for some lunch at a winery before shopping (like we did). I’ve been planning out all sorts of delicious blueberry treats since I saw the fields were open and you can see them and other berry treats on my Berry Picking pinterest board. Coming up tomorrow I’ll show you my first cooking project or you can check out my favorite blueberry buckle recipe on my travel site.